Tails of Equestria is coming to life and coming to stores near you! Scheduled for release on the 14th of March, make sure to contact your local gaming stores to secure your copy! If you haven't been keeping up with pony news it is my great pleasure to tell you a little about Tails and answer some of the most common questions. I'm going to assume you know a little about My Little Pony, perhaps you are a fan of the show or maybe you collected the original toys when you were younger. 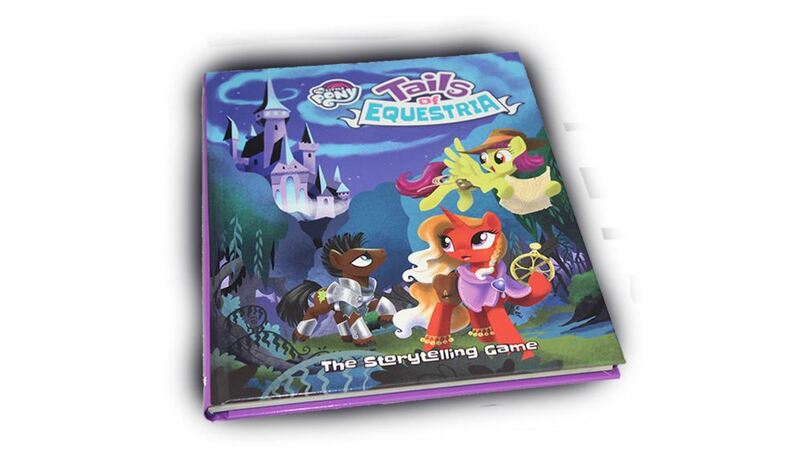 This book is a manual for a storytelling game that allows you and your friends to explore the amazing and magical world of Equestria – Will you be a dynamic adventurer like Derring Do or a stylish diva like Rarity? Tails of Equestria allows you to create, name and play as your very own pony character to solve puzzles and explore dungeons, there may even be some dragons!